Sigh…I know it’s hard to think about your health when so many other things need attention. I get it, not everybody eats, breathes and thinks health consciousness. But here’s the deal: Your physical body is your vessel. 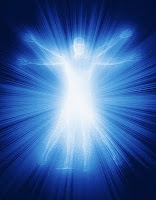 It carries your mind and your spirit, and as such, you really can’t do or experience much on the material plane without it. So it really does make sense to take care of it. Here’s why I bring it up: I know that many people don’t think about their health much until there is a problem. Some people get as far as having a serious problem, one that is life threatening–like a heart attack–before they realize how important their body is. But when you get to that point, it much more difficult to bounce back–not impossible, mind you; just harder. Take a recent study that showed that one in ten people that have angioplasty–a surgical technique to open clogged arteries–will land back into the hospital within 30 days. 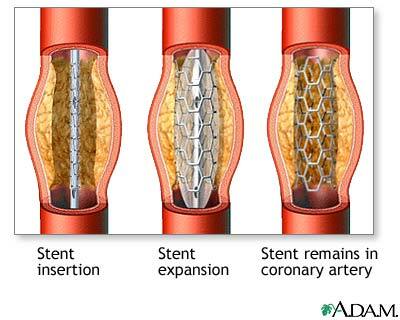 The procedure, which includes the placement of a stent, or an artificial tube, into the blood vessel to create a new opening, and hopefully prevent further flow constriction. Worse yet, these individuals were more likely to die within a year when compared to their counterparts who were not readmitted to the hospital after their procedure. Exactly. In other words, you still need to take care of your health. Listen, modern medicine is amazing at giving people a second chance, but that doesn’t mean you should just go back to business-as-usual. You need to observe all six keys to optimal health–diet, exercise, bodywork, mental health, rest & recuperation, and toxin avoidance (smoking cessation, for example)–and it has to become a top priority. But even more importantly, why not just start observing these practices now? Many illnesses are lifestyle related. You do have a choice; and you ultimately have a hand in your illness and health. 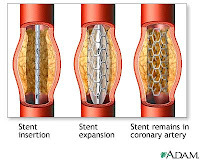 Once you get to the point of an angioplasty, you have suffered severe damage. My philosophy: Prevent it starting NOW. And if you’ve already had the experience of heart disease, and modern medicine has given you a second chance, don’t look that gift horse in the mouth. Live as if your body is your life vessel, and do the right things to preserve it. You’ll have more life to live that way.